talkhealth > Blog > 2013/07 > Falling Off the Roof! 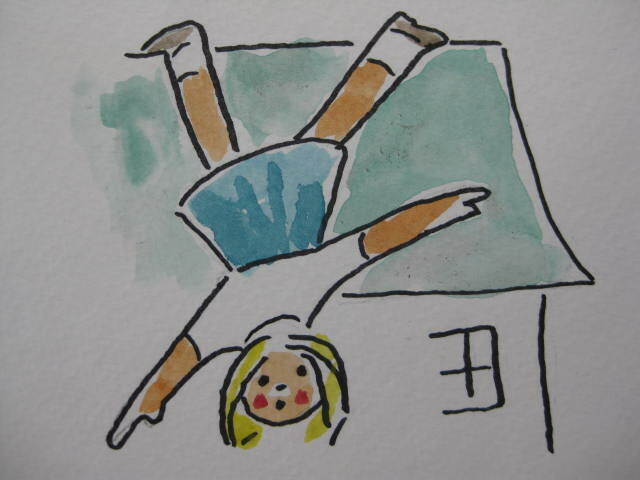 My mom painted this young lady falling off the roof, inspired by a recent conversation with her friends. We wondered where this expression came from. I had no luck googling, so I checked with Harry Finley at MUM, the Museum of Menstruation. Harry doesn’t know either, but he remembers a visitor to the museum in 1994 who was writing a book on expressions. The writer thought “falling off the roof” came from the Pennsylvania Dutch. Perhaps, but when I reported this back to Mom, she commented that the girls in Baltimore and the girls she met at Duke certainly knew it too. Harry’s MUM site boasts an incredible online archive of materials related to menstruation. A pamphlet titled “As One Girl to Another,“ is dated 1943. 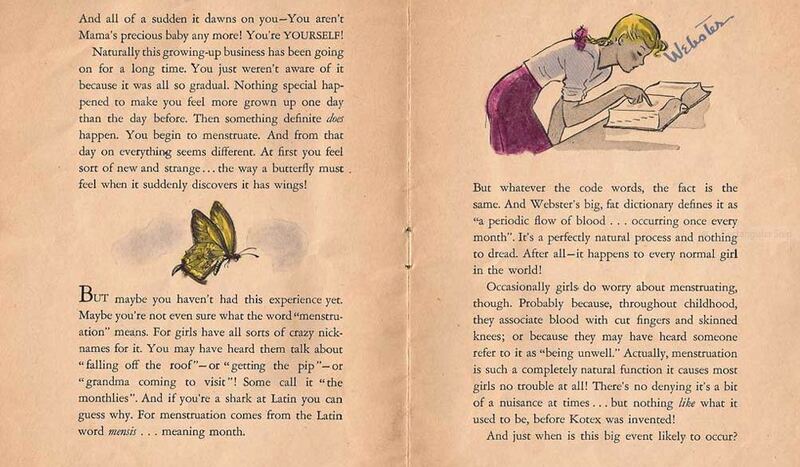 Produced by Kotex, the page below refers to the “crazy nicknames” girls have for their periods. But I still have no idea where the expression came from. My mom, Nancy Kiehne, paints in acrylics and watercolor. To see more of her work, check out her Tumblr site.